Real Madrid star, Cristiano Ronaldo advices Neymar to quit Barcelona FC – Royal Times of Nigeria. Real Madrid star, Cristiano Ronaldo, has reportedly told Brazilian playmaker, Neymar to leave La Liga rivals, Barcelona. According to Spanish publication, Diario Gol, Ronaldo also told the Brazilian to snub a move to Paris Saint-Germain (PSG) and instead wait for a transfer to Manchester United. The Portugal captain believes that moving to PSG, would be a step down for Neymar and think the 25-year-old who he shares the same birthday with, can take his game to the next level in England. 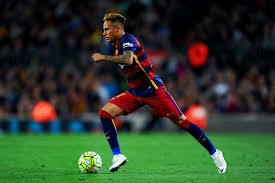 On Saturday, Sky Sports claimed that Neymar has decided to leave the Camp Nou after becoming increasingly frustrated at playing second fiddle to Ronaldo’s ash rival, Lionel Messi. The report however added that PSG remain the only club willing to meet the player’s €222m (£196m) release clause, with Chelsea and Manchester United unwilling to do so.